If It's Hip, It's Here (Archives): New Cream Soda in "A Big Can for the Big Man." Introducing Soda Shaq. New Cream Soda in "A Big Can for the Big Man." Introducing Soda Shaq. 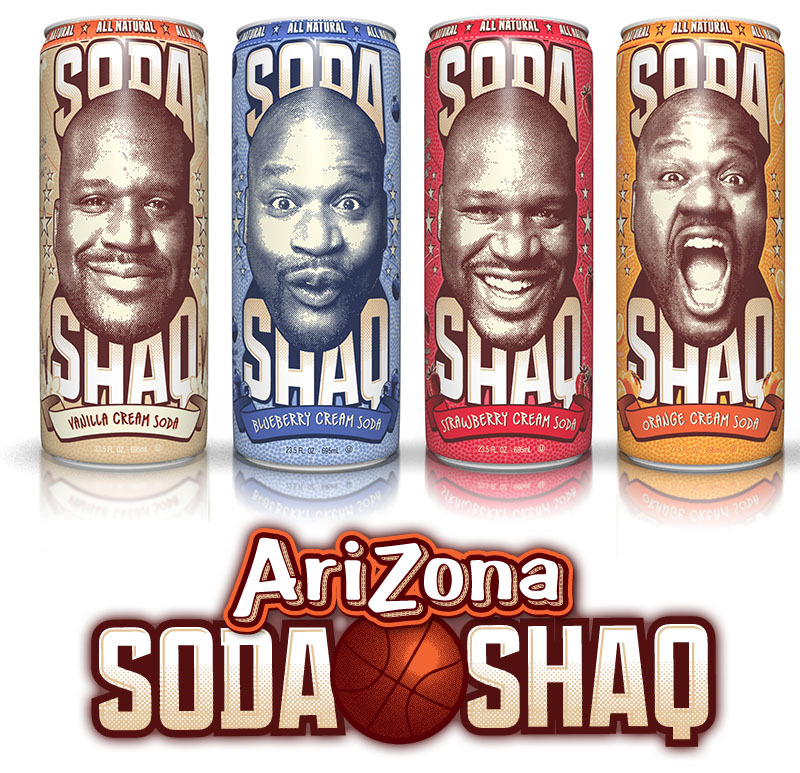 AriZona Beverages has teamed up with Shaquille O'Neal to launch an all-natural cream soda line. 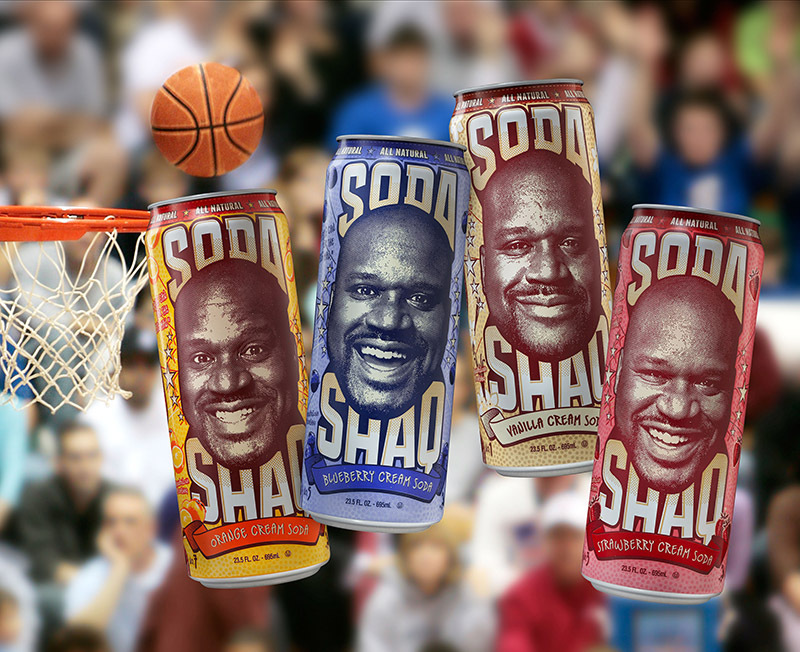 SODA SHAQ, named for the basketball legend known for his personality, has hit the market in AriZona's signature single-serve 23.5oz. can from Rexam. SODA SHAQ contains real vanilla from Madagascar, is sweetened with pure cane sugar and has just 90 calories per serving. Like all AriZona products, it is made with no artificial colors or preservatives and is available in Original Vanilla Cream, Orange Cream, Blueberry Cream and Strawberry Cream flavors. "We are excited to expand our offerings to include a great carbonated beverage innovation based on a soda shop classic," said Don Vultaggio, Chairman of AriZona Beverages. "With nearly a third less calories than the competition, SODA SHAQ's great-tasting and all-natural cream sodas are perfect for consumers looking for variety. And through our continued partnership with Rexam, we are bringing them to market in another great version of our iconic big cans." The new can designs (of which there are 8 for the flour flavors) include the tagline "A Big Can for the Big Man" and prominently feature Shaq's famous likeness. Rich Grimley, president and CEO, Rexam BCNA, says, "As the industry leader in 24oz. 'big' can production, we continue to grow our relationship with AriZona Beverages, supporting this brand extension with an ideal packaging choice that delivers superior recycling and environmental benefits as well as filling and distribution economics." 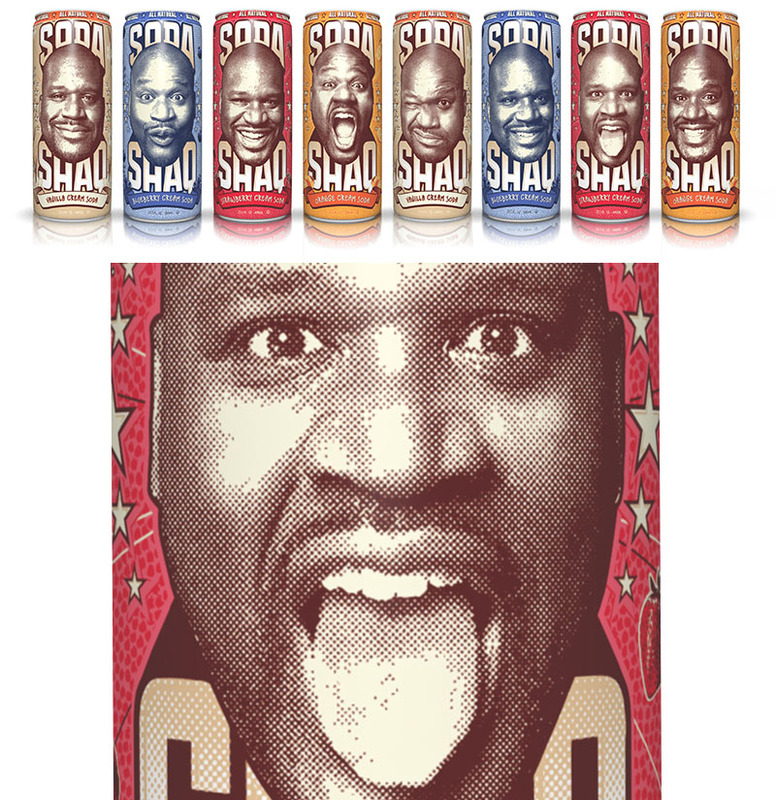 SODA SHAQ is currently available at retailers nationwide at a suggested retail price of $.99 per can.